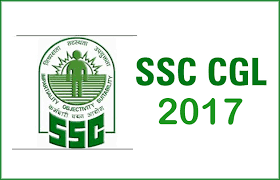 SSC CGL 2017 All India Online Test - Participate and Win Tablets & Rs. 10,000 Cash Prize. Take Paramount- Toprankers All India Mock Test for SSC CGL 2017 to enhance your performance in the actual exam. The Computer Based Test (CBT) will be conducted online and is a great opportunity for aspirants to get the simulated experience of a real life exam and help know where they stand on a national level yardstick. The test rates the skills of the students' on a national level yardstick by administering standardized questions. It also gives an opportunity for a complete overhaul of your SSC CGL Preparation before the SSC CGL exam by strengthening you against all odds in the SSC CGL. Coupon Code : You May use Coupon Code "CGLONLINE" to Avail 10 % Instant Discount. You can receive prizes for your performance in the All India Online Mock Test. Attempt the All India CBT and stand a chance to win tablets and a cash prize of Rs. 10,000/-. Those who secure AIR of positions 1, 2, or 3 will be eligible for winning this prize. Don't miss the golden opportunity and hurry up to register for the test. What do you get in the All India Online Mock Test for SSC CGL 2017? · All India Rank- You will be ranked on par with your peers in the country letting you know where you stand on a national level of lakhs of students who will be taking the test along with you. · Real life exam environment- The test will give you the experience of the real exam and will make you acquainted with an Exam-day like experience. · Helps you with time management- Each test attempt makes you confident and teaches you to effectively manage your time. · Performance Reports- the Performance reports give detailed information about your strengths and weaknesses. You can improve your weak areas by working on them and know of your strengths too. · Exposure to the actual exam pattern- You will get wide exposure to the pattern of questionnaire asked in the SSC exam along with a similar level of difficulty. · Smart test taking strategies- You will learn new, smart and effective strategies to while taking the tests that will help you to perform well in the exam. Coupon Code : You can use Coupon Code "CGLONLINE" to Avail 10 % Instant Discount. What are the benefits I would get in All India Online Mock Test for SSC CGL 2017? · Provides a real life simulation of the actual SSC CGL exam. · It helps to formulate an effective strategy for SSC CGL exam. · Helps you to work on time management. · Improves your chances of securing a high score. · You can know your level of preparation and improve accordingly. · The AllIndia Online Mock Test will rank you on a national level. How to Attempt All India Online Mock Test for SSC CGL 2017? · You need to visit one of the allotted centres which allow you to give a Computer Based Test. · Follow the instructions provided at the exam centre and get started with your CBT. · Know your score which helps you know where you stand with respect to the SSC CGL 2017 Exam. You may have doubts and queries regarding the CBT. Some of the FAQ’s are answered below. Will I receive a registration code? No registration code is not required. You need to directly register via the online registration form provided on the website. What is the duration of registration period? The registration begins starting from 25th May 2017 and applications will close on 25th June 2017. How can I attempt the sample papers? You can attempt the sample papers from anywhere and anytime as long as you have a device like laptop. Will I be receive an admit card before the exam? What is the date of issue? Yes, we will issue an admit card for each one of you for the CBT (Computer based Test) session and you have to carry it with you while coming for the exam. The date of issue of admit card is 1st July onwards. Where can I get my All India Rank (AIR)? After you complete the national level mock exam, you will be able to know your All India Rank (AIR) when you click on the reports section of the test. When will be the CBT held? The CBT (Computer based Test) will be held on 9th July 2017. Students who want to attempt the CBT, will have to enroll for the paramount SSC CGL Tier I CBT package. Which are the Exam centres of the CBT (Computer based Test)? · Delhi: Mukharjee Nagar, Model Town, Rohini, Peetampura, Uttam Nagar, Lakshmi Nagar. · Rajasthan: Jaipur – Triveni Nagar, Lal Kothi & Near Apex Tower. · Haryana: Sonipat & Panipat. · Uttar Pradesh: Kanpur, Allahabad, Meerut & Agra. Give your SSC preparation a kick start with the AllIndia Online Mock Test for SSC CGL 2017. All the best!